Posted on Июль 28, 2017 by Татьяна Н.
Прочитайте текст «Политическая система в Америке» на английском языке и активизируйте свой словарный запас по теме «Политическое устройство разных стран». Из этого текста вы узнаете об истории становления государственной власти в Америке. As you know the colonies in America won the Revolutionary War (the War of Independence 1775-1783). After that they became free and independent states, but they had a problem: they needed one strong national government. That’s why in the year 1787 all the states sent their representatives to Philadelphia where they wrote the Constitution. The Constitution is the highest law in the United States which describes the powers of the national government and the powers of the state governments. The US government is like a tree with a strong trunk and three branches. The trunk is the people. It holds up the tree. People choose the men who make American laws. The first branch on the tree of government is the Congress. The Congress is a meeting of representatives from all the states. The people elect those representatives. The Congress makes the laws that everybody must obey. The Congress meets in the US Capitol in Washington, D.C. The Congress is divided into two parts, the Senate and the House of Representatives. Every state, no matter how large or small, sends to people to the Senate. These people are called senators. There are one hundred senators in the Senate. A senator’s term is six years. Each state also sends people to the House of Representatives. They are called congressmen. The number of congressmen from each state depends on the number of people who live in the state. The larger states have more congressmen than the small states. All in all there are 435 congressmen in the House of Representatives. A representative’s term is two years. The Constitution give many powers to the Congress. One important power of the Congress is a power to declare war. The second branch of government is the President and his helpers. They carry out the laws that the Congress makes. The President signs bills and then they become law. The Vice President and members of the Cabinet help the President to make decisions. The US President is Commander in Chief of the country’s armed forces. A person who wants to become President must be born in the United States, must be at least 35 years old and must live in the United States for at least 14 years before becoming President. The President’s term is four years and one can be President for one or two terms, but not longer. Americans vote for the President in November of every leap year. The third branch of government is the Supreme Court. It is made up of nine judges – the most important judges in the land. They have to make sure that the President and the Congress follow the Constitution. They decide what the Constitution and the laws passed by the Congress mean when there is an argument about their meaning. The judges work in the Supreme Court as long as they live. Americans are very proud of their Constitution. It was written more than 200 years ago and it is still working. But the people of the United States can change the Constitution. Changes in the Constitution are called amendments. There are 26 amendments to the Constitution. The first ten amendments are called the Bill of Rights. They were made in 1791. The Bill of Rights guarantees to people of the USA such important rights and freedoms as freedom of press, freedom of religion, the right to go to court, have a lawyer, and some others. Soon after the Civil War (1861-1865) there were three important amendments. The 13th amendment ended slavery, the 14th amendment made all Black people citizens of the United States, the 15th amendment gave Blacks the right to vote (long ago, only white men who were over 21 years of age and owned property could vote in the United States). In 1920, the 19th amendment gave women the right to vote. In 1971, the 26th amendment gave people 18 years and older the right to vote. The War of Independence began in … . The Constitution was written in … . There are … judges in the US Supreme Court. The Civil War lasted … years. The first ten amendments to the Constitution are called … . 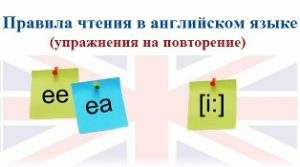 This entry was posted in America and tagged История США.